The movie holds the brilliant star cast with famous names related with the characters. To start of the character of Danny Ocean, the main protagonist of the play has been marvelously played by George Clooney, the famous name in acting field. He is matched up best with his friend in the flim, Rusty Ryan, played by the most handsome man of Hollywood, Brad Pitt. The catalyst of the movie who is reason for all the revenge is the owner of Las Vegas casinos Terry Benedict played by none other than Andy Gracia. The friend who stays behind all this with all the finance for Danny's project is Reuben Tishkoff played by Elliot Gould. Other characters which are important names of the movie are Bashel Tarr played by Don Cheadle, Malloy, played by Casey Affleck, Linus Caldwell by Matt Demon, Frank Catton by Bernie Mac, Turk Malloy by Scott Caan, Saul Bloom by Carl Reiner, Yen by Shaobo Qin and lastly Livingston Dell by Eddie Jemison. The movie as told is a remake of the 1960 legendary movie by Dean Martin, Frank Sinetra and many other famous starts dealing with the story on robbery. 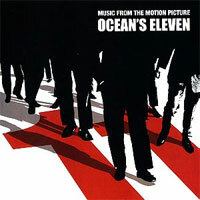 The movie here moves round Danny Ocean, who is set to break parole to meet his friend Rusty Ryan, his partner in all criminal activities and together with another nine friends they planned to rob the famous three casinos in Las Vegas, The Mirage the MGM Grand and The Bellagio. These casinos are all owned by the famous Terry Benedict. Ruben Tishkoff, plays the financer of these huge project in the movie. Though he does not favor these act of robbery since he know, Las Vegas have huge security and nobody has ever became successful in conducting robbery there, but he has always grudge on Terry enough to forget all his notions and finance the project to get back at his old rival. The prison where Danny Ocean is set to parole was the East Jersey State Prison which was formerly named as Rahway state's prison. It is a prison in the northern state across the highway a little from Newark International airport. The Parole hearings are done in conference rooms beside the dining hall. The place where the parole interview was conducted was the recreation area known as Drill hall. The clock from where Danny was escorted was the 3 wing regular block. The prison inmates were confined or taken some other place for the purpose of filming. Officer in duty to take Danny Ocean from the cell block was a Lieutenant itself working as co-coordinator for the documentary movie Scared Straight (1978).